If you are trying to setup an upfront subscription for a variable product then here is the guide. 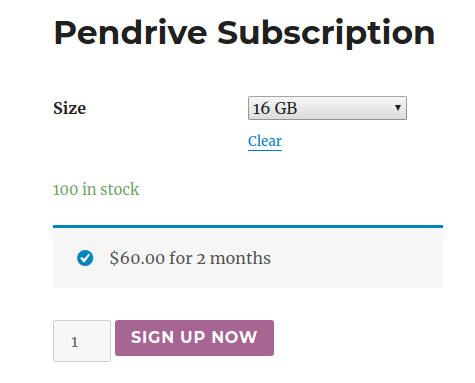 Choose "Variable Subscription" in the product data. 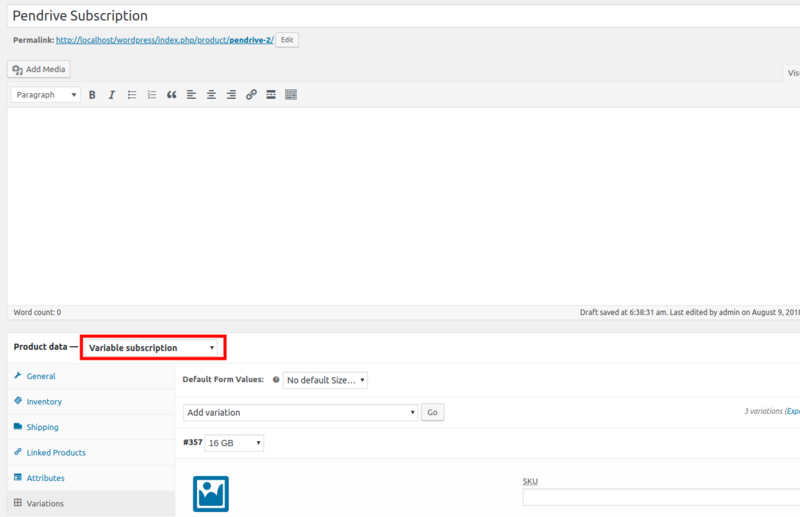 In the attributes tab, add custom attributes according to your requirement. Then in the variations tab, you can see the all the attributes you have created. For each of the attributes, you can see the upfront payment option available. 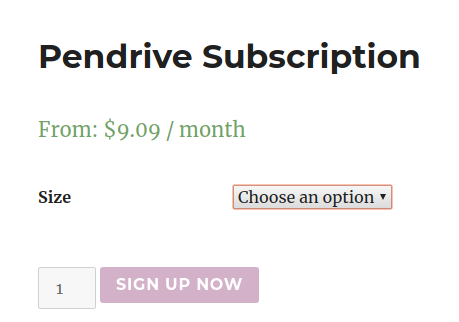 Choose the subscription price for each of the attribute product. 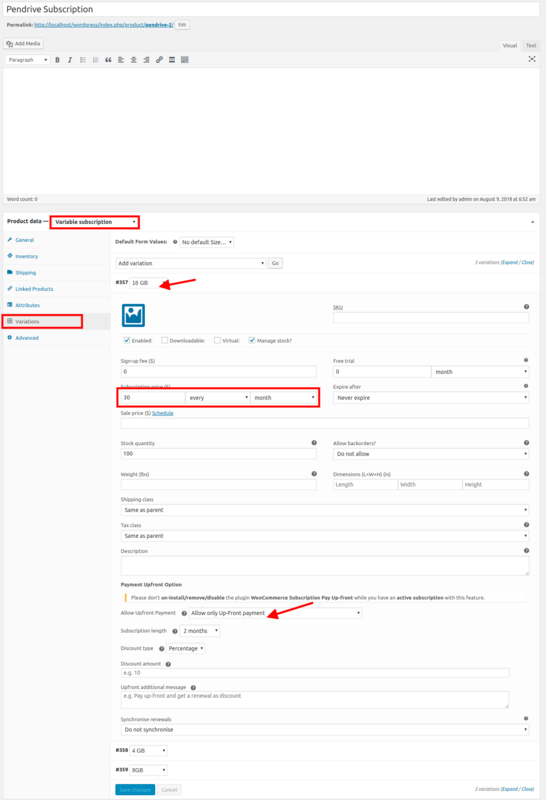 Also set the upfront payment method and choose the subscription length for each of the attributes. In the product page, when you choose the attributes, the upfront payment will be enabled based on the "allow upfront payment" methods you have set for each of it. 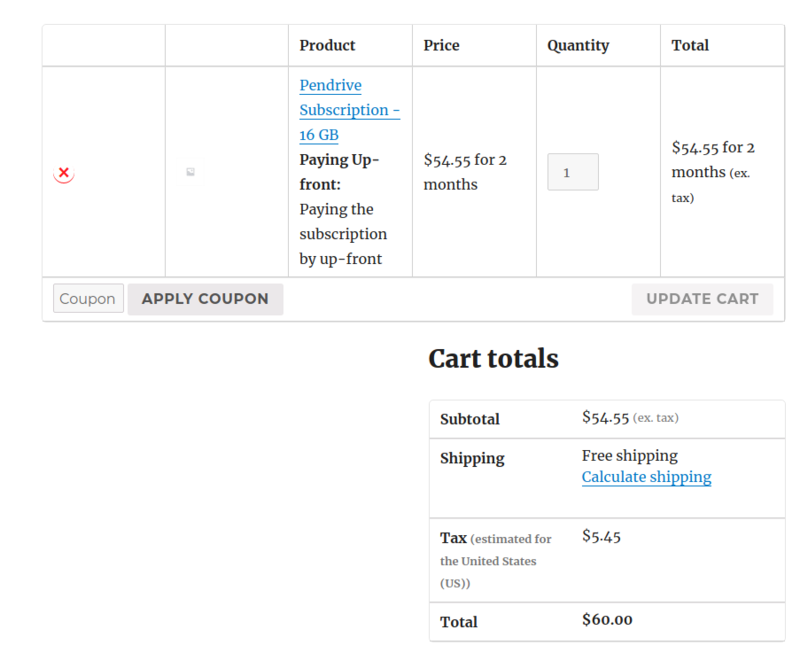 In the cart page, the total amount for the specified duration is collected payment. Here I have set the 16GB pendrive to 2 months subscription.